An academic paper published on September 21 by the academic journal PLOS One claims that as of 2016 the unauthorized population was between 16.2 million and 29.5 million. The number, proposed by three scholars associated with the Yale School of Management, is about twice as high as the estimated range of 10.8 million to 12.1 million used by most demographers, including those at the Migration Policy Institute (MPI), the Pew Research Center, and the government’s own Department of Homeland Security (DHS). PLOS One simultaneously published a paper by MPI researchers sharply criticizing the Yale study. But as the MPI paper notes, it’s only in the past few years that DHS has been providing enough data on unauthorized inflows and outflows to justify estimates. 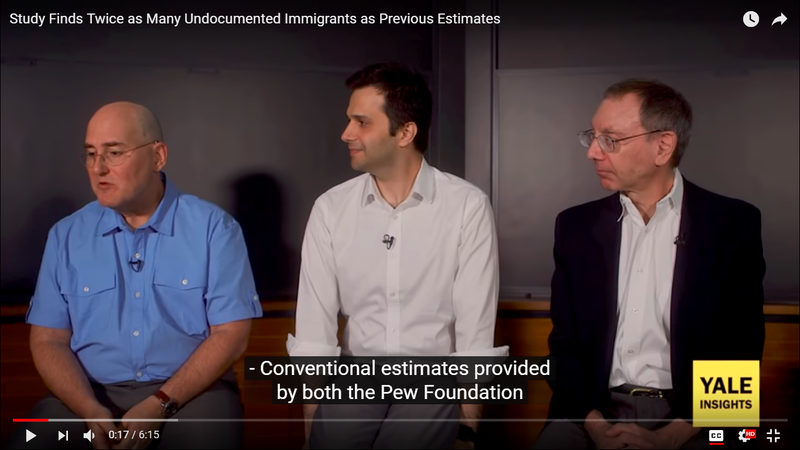 The Yale study projects current estimates back to 1990, ignoring some of the major changes in immigration patterns that resulted from increased border enforcement over the 26 years from 1990 to 2016. The backwards projection method also means that any errors in the estimates for an earlier year are compounded in each subsequent year—in contrast to the residual method, which allows for researchers to make a fresh estimate each year. How Will the Right Use the New Study? Anti-immigrant forces have been relatively silent so far—probably because of the current media attention to various crises for the Trump administration—but it seems likely they’ll be citing the Yale study in the future: anti-immigrant groups and rightwing pundits have spent years exaggerating the size of the undocumented population. For example, author and TV personality Ann Coulter regularly puts the number of undocumented immigrants at 30 million. Inflated rhetoric by politicians leads to inflated numbers in people’s minds, and the media often fail to counter this with coverage of some important statistics. How do Coulter and fellow pundit Michelle Malkin get away with their claim that the 11 million figure must be wrong? Their supposed evidence is that the number hasn’t changed over the last decade. This seems convincing because the media constantly report figures on border apprehensions. So the public knows that unauthorized migrants are continuing to enter the country, and it seems like a common-sense conclusion that the undocumented population must be increasing. The media rarely note that undocumented immigrants are also leaving, at the about same rate as they’re entering. Who Are the Study’s Authors? The study’s authors seemed a little defensive in a September 21 video presentation posted by Yale Insights to explain their methods The authors insisted that they had no political agenda to promote. Co-author Edward H. Kaplan pointed out that the study could be used to counter efforts to depict undocumented immigrants as criminals, since if the undocumented population was doubled, the undocumented crime rate would fall in half. Between them the Yale authors have expertise in statistics, management, economics and engineering, but none seem especially knowledgeable about demography or immigration issues. Publications by Kaplan and Jonathan S. Feinstein include studies on terrorism and counter-terrorism. Kaplan seems especially interested in the subject. One article “presents staffing models for covert counterterrorism agencies such as the New York City Police Department, the US Federal Bureau of Investigation, Britain's Security Service or the Israeli Shin Bet,” according to its abstract. 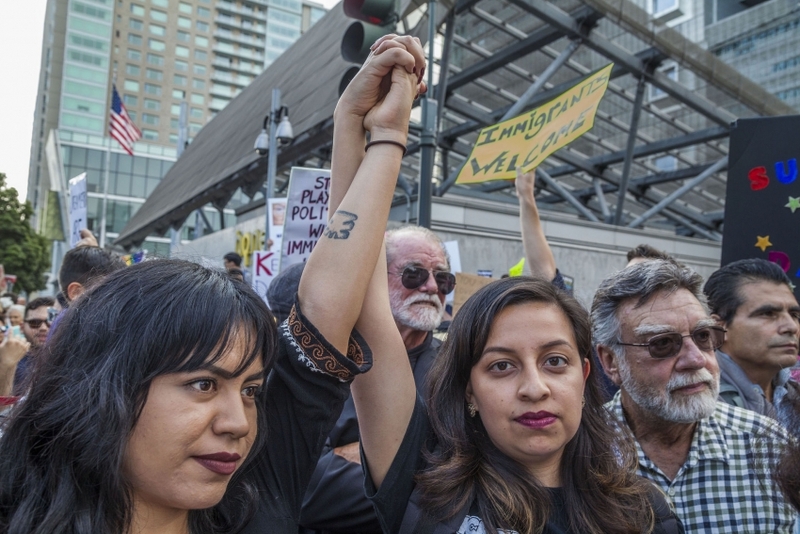 No More Compromises: We Need Immigration Amnesty Now! 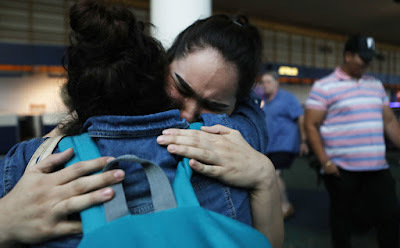 In mid-April, Immigration and Customs Enforcement (ICE) carried out a six-day operation in the New York metropolitan area, detaining a total of 225 people. One month later, a young US citizen named Augustina stood in Manhattan’s Foley Square, a few hundred feet from ICE’s regional headquarters, and told a crowd of journalists and supporters how the series of raids — code-named “Operation Keep Safe” — had impacted her and her family. Claiming they were police, ICE agents “welcomed themselves in” at the family’s East Harlem apartment, she said, and led away her diabetic mother, who had lived in the United States for more than 30 years. As the oldest citizen left in the family, Augustina was now having to file for guardianship of her 12-year-old sister. We’ve spotted a few mistakes in the first printing of The Politics of Immigration's second edition, so we’ve added an errata page to the website. If you see any other factual errors, we’d be grateful if you notify us—and even more grateful if you include a link to your source. 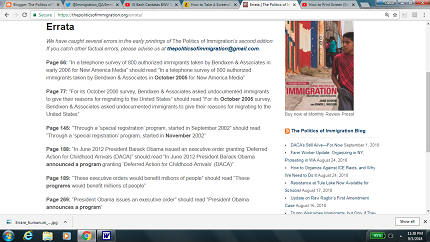 You can write us at thepoliticsofimmigration@gmail.com. In a surprise move, on August 31 Judge Andrew S. Hanen, a U.S. district judge in Texas, denied a request by Texas and nine other states for a preliminary injunction to block Deferred Action for Childhood Arrivals (DACA) applications and renewals. However, Judge Hanen made it clear in his 117-page ruling that he opposed DACA on legal grounds, as he did in the past with a DACA expansion and Deferred Action for Parents of American (DAPA). Observers had expected Hanen to grant the injunction. This would have brought him into conflict district judges in California, DC, and New York who issued injunctions supporting DACA, probably forcing the Supreme Court to take up the issue in the near future. Now it’s more likely—although not certain--that the issue will remain open until some time next year, giving DACA activists as many as nine months to campaign for a legislative fix. 1. DACA Renewals are still open: That’s the good news, Judge Hanen’s rejection of Texas’ request means that Texas lost and DACA renewals are still in place. You should apply to renew your DACA now, if it expires before 2020. Go to http://www.renewmydaca.com/ or http://renuevamidaca.com/ and we’ll walk you through the process. 2. The fight is not over: In his decision, Judge Hanen confirmed that he believes DACA is unlawful. This is no surprise since he was the one that killed DAPA/DACA+. Texas now has 21 days to appeal Hanen’s decision. We’ve yet to see how Texas will respond. Stay tuned for updates on anything that could impact you! 3. New applications are NOT being accepted at this moment, and no one knows for sure whether they will be accepted in the future.